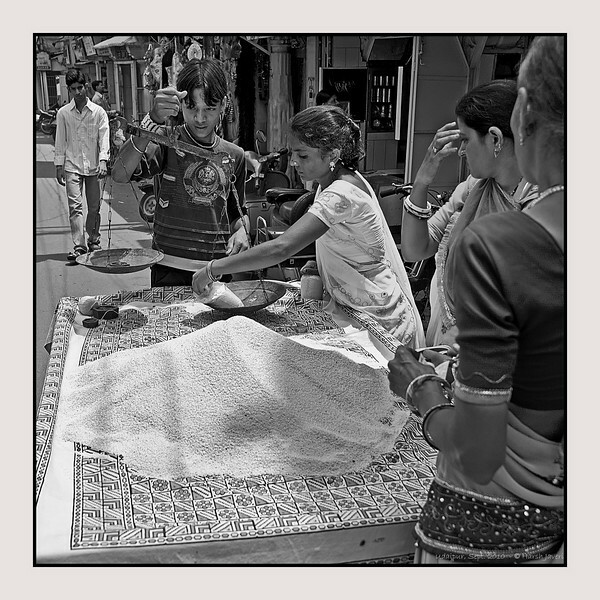 Ladies buying daily ration of rice from this street vendor in Udaipur. Great composition and I like the b/w. great image Harsh. I love the b/w conversion and the image itself is lovely and tells a story. really like this shot, the framing is just perfect , their expression seems like so much hinges on the measure , just noticed i'm commenting again, love it that much more :) !